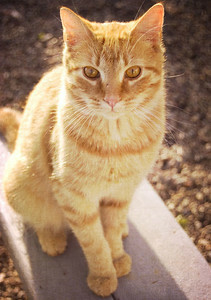 This entry was posted on Tuesday, November 13th, 2012 at 8:08 amand is filed under . You can follow any responses to this entry through the RSS 2.0 feed. You can leave a response, or trackback from your own site. this IS where life is….love…the flying geese is a peaceful sign to me…esp in light of the quilt…i love heavy old quilts….we have one we pull out that is over 30 years old…maybe even older…and tatty at places but i love it! it holds me down a bit as well….really a great verse…smiles. It’s a silly old world that wraps itself in overwhelm, worried about the latest dirty linen; give me ants and apples any day. I love to visit each morning; you carry me off to wonder. old quilts have a story to tell. the older the better. Fading and thin, thick and bunched, it matters not. i never fail to think of its maker when i brush my hand over an old quilt. How anyone could imagine you as ‘ just a silly old woman’ is unthinkable. I love it all but S9 (yes! ), I too often get carried off somewhere, needing that blanket (love) to keep me grounded and present. Gorgeous and made me want to go snuggle under the covers. Is 9:30 too early for a nap :)? And a lovely life it is. Reminds me of taking out my Grandma’s handmade quilts every year at this time. It’s a hug from her. It’s comforting. You always make me think of those lovely things Thank you. You are right..this is where life is…I love this! A comforting, picture indeed. Happy dreams! Just beautiful. I have many blankets that both of my grandmothers made during their lives…and the ones that are my favorite are the ones that are torn and worn out. I so get it! wonderful! this IS where life is. I completely agree and have my own cotton blanket and cool sheets to prove it. Beautiful. Such a nice feeling to shower and then slip into fresh sheets. The quilt sounds as comforting to you, as it is in its use. Love the description of the tiny rip, the geese. we fight over the quilt my grandmother made the 14 year old me, my children and me, cause there is no sweeter sleep than to be held in those arms. so sweet dreams to you and your flying geese, sugar. A comforting poem to match the comfort of a warm soft bed. I love it. I agree…this is where life is. Sometimes it takes a bit of living to figure out that ants and apples and blankets are where it’s at! Smiles. absolutely exquisite imagery…I feel so peaceful reading your words… and on the subject of quilts and feeling content for the moment at hand… Would you like to participate in the gratitude quilt this year? This will be the fourth year I’m doing this on my blog and it is very cool to read all the words of thanks linked together. To learn more about the quilt and how to add a “patch” of your own to it look at the top of my blog where you will also find links to quilts from other years. Oh my, I am going to get my quilt out tomorrow. This is so inviting and I have to say, my favorite poem so far tonight. I love love love it. Yes, yes it is. My bed is one of my favorite places–the ultimate refuge, the ultimate security. I like the geese like dreams above you as you sleep. So good…love the smells and sounds and textures of this. So nicely done. 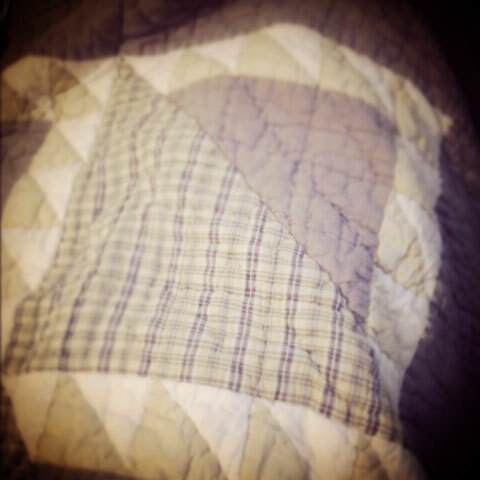 Love this…old quilts are the best, so cozy…a perfect place and yes, where life is. The last line rings so true. Life is in the simplest things, imbued with a love and memory that we go back to again and again. Very nice feel to this.